Papasan chairs are comfortable, casual pieces of furniture that are great for relaxing. However, the design of the chair can make it more prone to damage than regular chairs. Fortunately, the chair is easily repairable. A papasan chair is held together by small nails which are then wrapped in rattan for the final product. You should be able to find rattan wrapping at your local craft store. 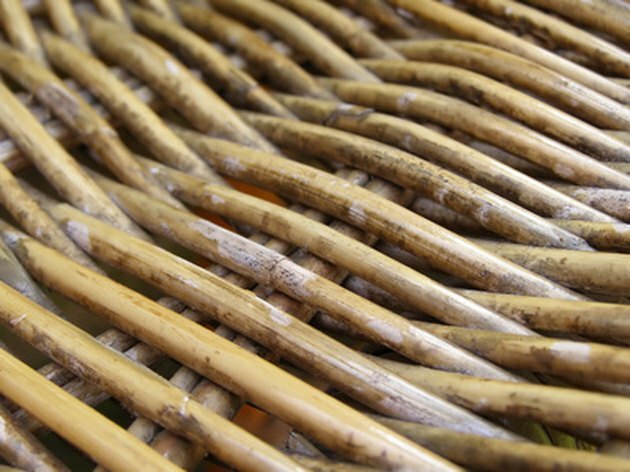 Remove the old, fraying rattan from the chair's frame. You do not need to replace any sections that are not fraying. Measure the section of rattan you have removed from the chair. Measure the new rattan wrapping so you have the same length as what has been removed. You may want to cut a slightly longer length than was originally used to allow room for errors. Soak the rattan wrapping in warm water for 25-30 minutes to make it more flexible. While the rattan is soaking, check any exposed nails to ensure that they are secure. Nail the end of the rattan in place using small brad nails.Carefully wrap the rattan around the exposed area. Nail the other end in place.